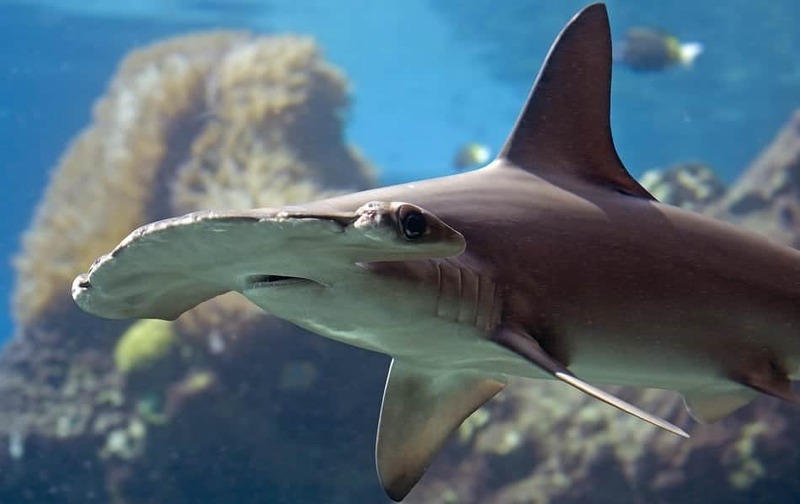 Hammerhead Sharks are named after their flat shaped heads. They eat large fish and occasionally small water mammals. They are found in the warmer waters of oceans and in coastal waters. It swims in shallow waters so it can hunt its prey more easily.